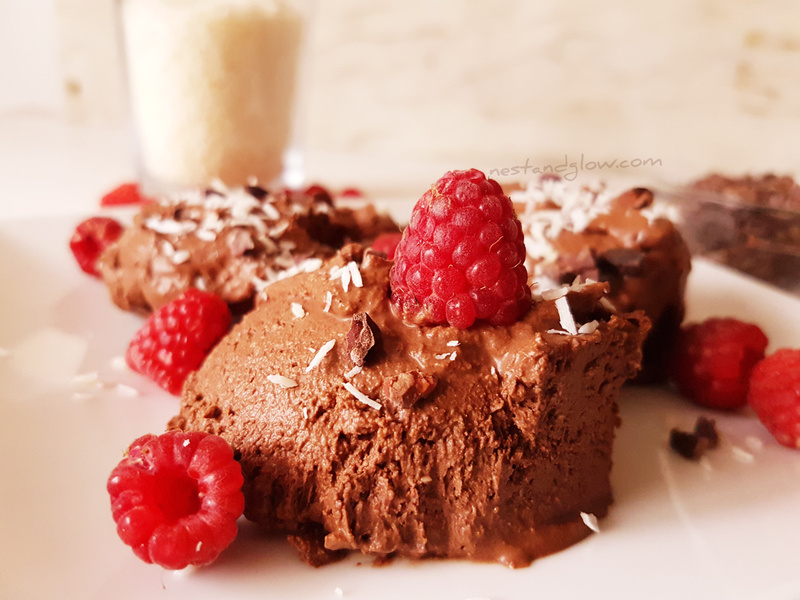 Easy to make dairy-free and healthy chocolate ice-cream without a machine. Suitable for vegan, plant-based, paleo, sugar-free and general healthy diets. See the bottom of the page for variations on this basic recipe to make different flavours. The best compliment I’ve had with this ice cream is that is tastes like normal (premium high-end) chocolate ice cream. When a healthy dairy-free creation tastes like the original you really know it’s a job well done. The simple things are often the best in life. With recipes this is often the case just as long as the ingredients are high quality. Empty the coconut milk into a bowl, using all the cream and the water. Whisk for 2-3 mins with an eletronic whisk on high to incorporate as much air as possible. You can use a manual whisk but it will be quite time-consuming, about 10 mins and a good workout. Add in all the other ingredients and then whisk on low to incorporate. Scrape down the sides to ensure it’s all mixed. Test the mixture and adjust sweetness/bitterness to taste. I like it quite bitter so usually add less sweetener. Pour into a dish then freeze for 3-4 hours. Remove from the freezer when it’s frozen through, I use a toothpick to check this. Leave to stand for 20 mins at room temp before serving. It will last several weeks in the freezer but will need to deforest a bit first and have a good stir if left in for longer than the 3-4 hours. Only use full-fat coconut milk to make this as the reduced fat will not set correctly. The ice-cream does have a mild coconut taste but the cacao means it’s not too overpowering. 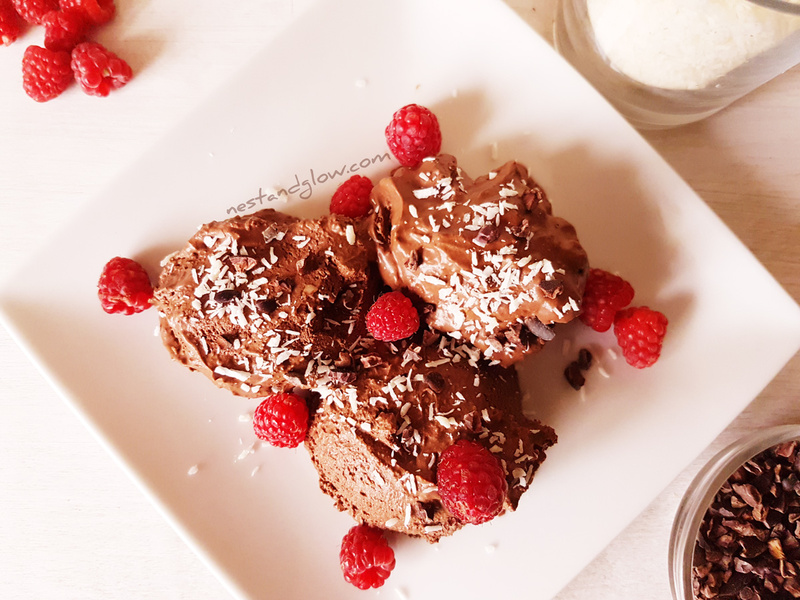 I used raw cacao powder but use any cocoa/cacao powder you like – I would recommend using a high-quality one with a strong robust flavour profile. I like this recipe as it doesn’t call for any plant-based milk. Instead ground almonds are used, this is the same as almond flour. This gives a nice texture to the ice cream and adds protein and heart-healthy fats. To make this nut-free just replace the ground almonds with coconut flour. Premade plant based milks often are very expensive for the low amount of nutrients so I tend to avoid them. The best thing with this healthy ice-cream is that it’s difficult to overeat. This could be because it isn’t loaded with sugar but is loaded with nutrition so a small amount keeps you satisfied. With normal ice-cream I could eat the whole tub in a sitting and feel awful. With this I eat much less but feel good afterwards.